All the best to Tamilnadu Tourism Award and all the Award champs and furthermore to the coordinators of the program for the accomplishment of the Award Function. 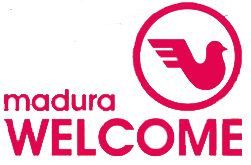 The Ministry of Tourism, government of India, in relationship with the Madura Welcome, a tourist guide book company organized to honors respected the best, unique and friendliest administrations in Tamil Nadu in the tourism sectors On Friday 24th March 2017 at Hotel Ambassador Pallava, Montieth Road, Egmore, Chennai. 112 nominees were partcipated and the conveyance of the honors was blended with cultural programmes. Tamilnadu cultural folks moves masterminded to please the epicurean eyes and request to the hearts. Karagaattam – Kavadiaattam – Chilambattam – Naiyandimelam – Nadhawaram – Thavil, and so forth. The awards were disseminated by Thiru. K.Bhagyaraj (Film Director) and Thirumathi. Poornima Bhagyaraj (Film Actress) and followed by special guests Consulate Generals, Govt. Tourist Department Dignitaries, President / Chairman of Trade Associations. The Only Award in recognizing “The Best” in the field of Tamilnadu Tourism.